We provide Art & Design Android App to create creative art. We have Paper quilling craft is a unique art which is very popular nowadays. It is a creative work, that helps in keeping you engaged in the creative world. You can make extra spectacular art. Before you start your creative work, you may begin developing pieces of crafts you must first master the way to create basic coil shape. The coiling is very basic criteria that are required for making any kind of art effect. Use a slotted quilling tool as this will make piece easier and faster and also beautiful. We help you in making the art very creative with wonderful ideas and techniques. – Supports and optimizes all screen resolutions and devices. 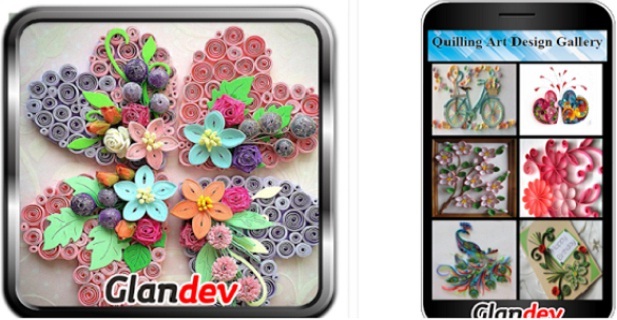 Download this Quilling Art Design Gallery – Art & Design Android App and enjoy the art of quilting. You will enjoy every aspect of it.